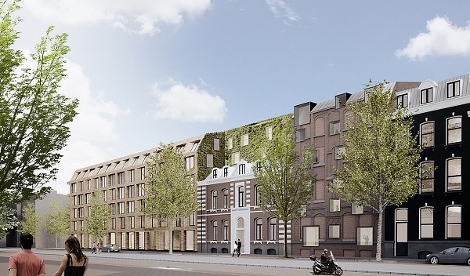 After years of little hotel development, Amsterdam is seeing a much-needed increase in activity that will bring greater choice to travellers both within and around the city’s historic core. We take a look at some of the latest news, from recent arrivals to upcoming openings in the Dutch capital. 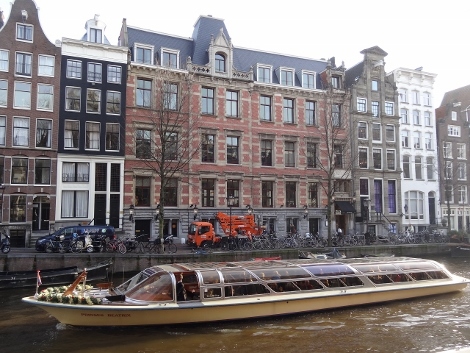 Back in July last year, Hoxton Hotels opened its first property outside London on the Herengracht canal (see news, May 2015). 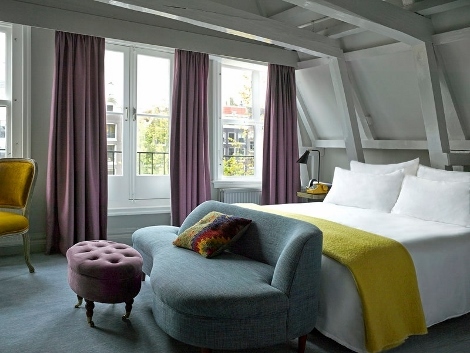 The conversion of the former Rembrandt Hotel, The Hoxton Amsterdam has 111 rooms a few minutes’ walk from Dam Square. They range from ‘Shoebox’ (with rates starting below €100 a night) to ‘Roomy’, with the option to pay a premium for a canal view. Restaurant Lotti’s serves Italian-inspired food, there is a bar and lounge, and ‘The Apartment’ meetings and events space. 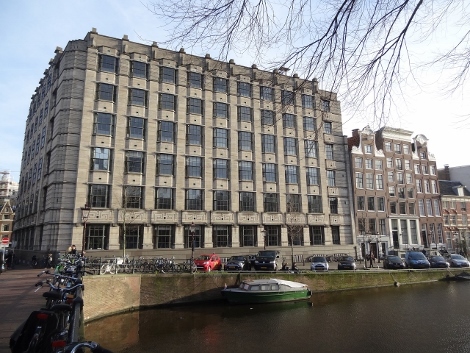 A few months later, the W Amsterdam arrived even closer to Dam Square, setting up in the 1903 Telephone Exchange building directly behind the Royal Palace and a former bank just across the street (see news, August 2015). At the moment, 172 out of the total of 238 rooms are open. The remaining 66 rooms (in the former bank), a spa, and curated art space and Dutch design store should be completed by May this year. An all-glass floor was added to the telephone exchange building, with fantastic views in all directions, as well as two outdoor terraces, one of which has a raised outdoor pool. Inside, you’ll find the W lounge and steakhouse Mr. Porter, while restaurant The Duchess occupies the gorgeous hall of the bank. 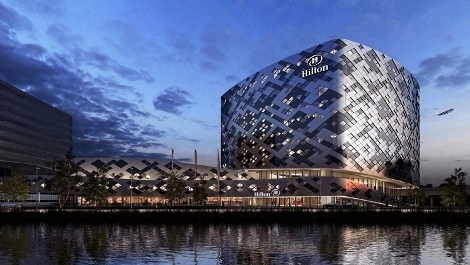 Just before the year was out, Hilton Worldwide opened its new Amsterdam Schiphol Airport hotel (see news, December 2015). Replacing the original Hilton (now to be demolished), it offers 433 contemporary rooms around a central atrium, with conference facilities, a restaurant and bar, and spa, all directly connected to the airport terminal. 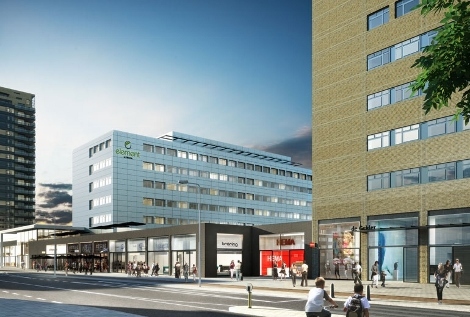 With the W Hotel right in the city centre, Starwood Hotels and Resorts added its second European Element hotel this month in the Buitenveldert district, close to the RAI convention centre and many offices (see news, January 2016). Converting an existing office building, Element Amsterdam has 160 studios and one-bedroom suites attached to a shopping mall. Right around the same time, Pulitzer Amsterdam opened the first of its 80 renovated rooms, part of a transformation that followed its move from Starwood’s Luxury Collection to Preferred Hotels and Resorts (see news, November 2015). 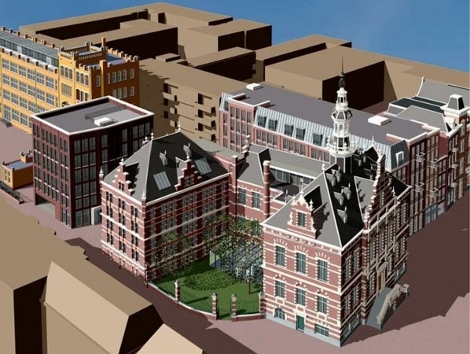 A second phase, to be complete in the autumn, will continue the renovation, resulting in a total of 225 rooms and suites as well as a restored façade on the Prinsengracht. While it missed its projected November 2015 opening (see news, May 2015), ZOKU Amsterdam should open in early 2016, with the website accepting reservations from June 1, but promising that earlier dates will come soon. 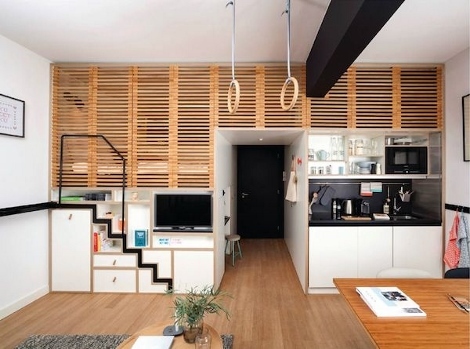 While Zoku offers normal hotel rooms, the draw is the ‘home-office hybrid’ ZOKU loft, with a kitchen, four-person work table, and a loft-style sleeping space. Possibly arriving this year as well will be the Hyatt Regency Amsterdam, on the site of a former children’s hospital southeast of the city centre (see news, May 2013). While it incorporates a few pieces of the hospital façade, the hotel is a complete new build and will have 211 rooms and suites, a Hyatt Regency Club, as well as meeting facilities and a spa. Across the Amstel river from the Hyatt Regency, Portuguese group Pestana Hotels should open a hotel in the circa 1890 town hall and county seat of Nieuwer-Amstel. Combining the historic building with two modern wings, it will have 157 rooms and suites, restaurant and bar, spa with indoor pool and winter garden. 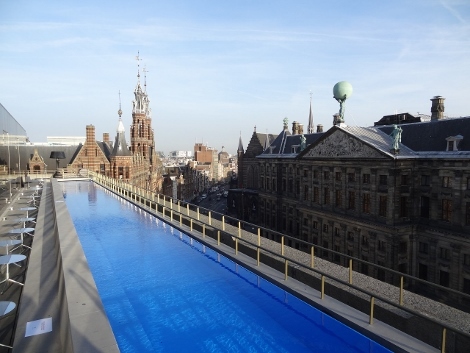 InterContinental Hotels Group (IHG) announced last month that its first international Kimpton hotel will be coming to Amsterdam. 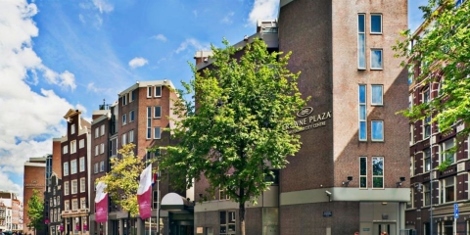 Taking over the existing Crowne Plaza Amsterdam City Centre, the hotel will undergo a complete refurbishment before it officially becomes a Kimpton in 2017 (see news, January 2016). Further into the future is the arrival of hotel and private members club Soho House in the 1930s Bungehuis, now a university building. Soho House will be next door to the W Amsterdam and have 79 rooms, library, roof terrace, gym, screening room, Cecconi’s restaurant, and spa. 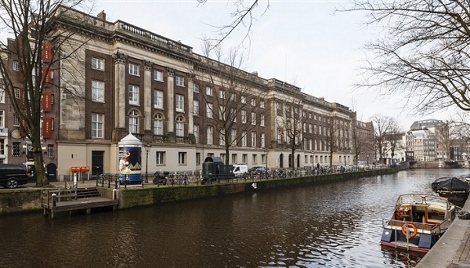 While not officially announced yet, the former Palace of Justice – a vast building dating back to 1664 and 1864 on the Prinsengracht canal – is rumoured to become Rosewood Amsterdam, having been put up for sale by the Dutch government. Given the extensive work that would need to be done to convert the building into a hotel, it will likely be towards the end of the decade before it is complete. By then, the city should also have the largest hotel in Benelux (Belgium, the Netherlands, and Luxembourg): the NH nhow RAI, with 650 rooms over 25 floors next to the city’s exhibition centre (see news, May 2015).